A version of this article previously appeared in issue 46 of OM Magazine, in March 2019. Collectible watches are difficult to find, even harder to obtain, and while most are still perfectly capable of keeping accurate time, all have become obsolete in the digital age. And yet, year after year, the watch collecting community continues to grow. The question is, why? Why do thousands of enthusiasts sign up to bid on watches sold on the other side of the world if there are more reasonable things to do? There are as many answers to that question as there are collectors, but I have noticed one fundamental truth that binds them together. 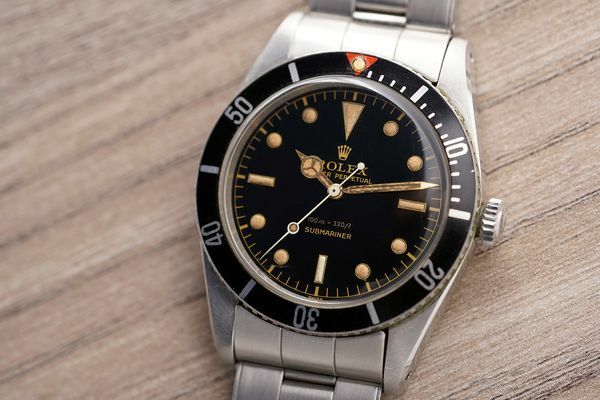 No matter their age, experience, and budget, all watch collectors can still remember the first truly remarkable mechanical watch they handled. Mine was an extremely rare and beautiful Audemars Piguet perpetual calendar wristwatch from the 1950s. I saw the watch, one of nine ever made, during a visit of the Audemars Piguet Museum and it was like a turning point. I felt like I was in the presence of something truly special, the kind of watch that inspires a new level of respect for the art of watchmaking. The Audemars Piguet Reference 1533 chronograph. At Phillips in Association with Bacs & Russo, we’re very fortunate to experience this every time we organize an auction. Since 2015, we have handled some of the most remarkable watches ever made, mechanical treasures from Rolex, Patek Philippe and Vacheron Constantin and other great houses of horology. 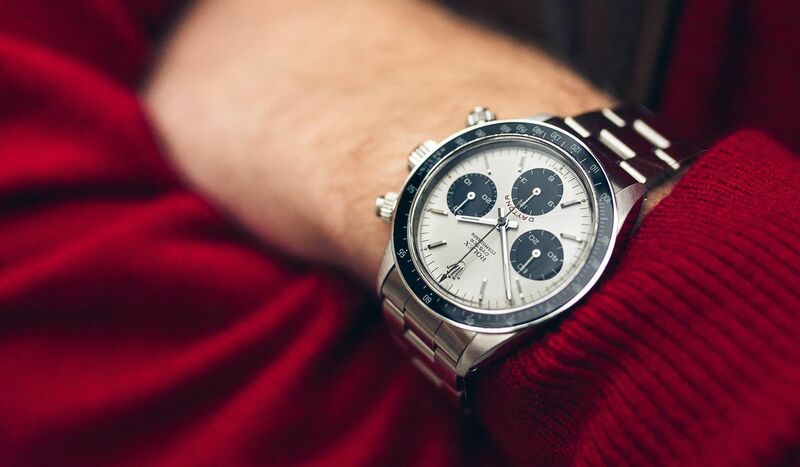 We’ve found and sold watches thought to have disappeared forever, including ones owned by beloved figures such as Paul Newman and Elvis Presley. What’s more, we get to share these pieces with the international watch collecting community, and everywhere we go they receive the same welcome. These are watches that make people smile, that start conversations between strangers, that make people dream. One of my favorite watches sold recently by Phillips was the Audemars Piguet chronograph shown above. It was another reminder of why I fell in love with watches. This May, we will once again present watches of that ilk. 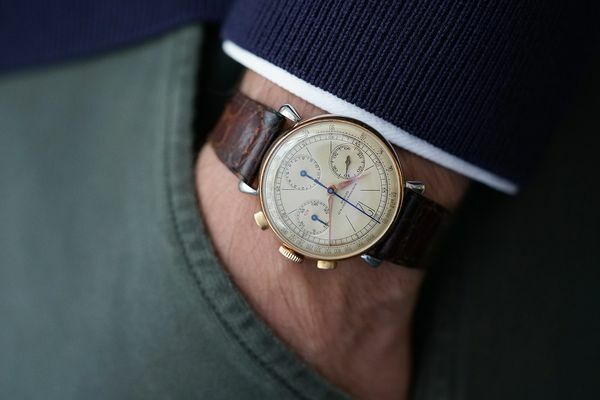 Among others, there is a pink gold and stainless steel Patek Philippe Reference 130, one of the earliest chronograph wristwatches made in series. We are also proud to present a very well-preserved example of a Rolex Submariner Ref. 5508. And we have the privilege of presenting an all-gold Rolex ‘Zenith’ Daytona Reference 16528 given by Ayrton Senna, the legendary Formula 1 champion, to his mentor Angelo Parrilla. 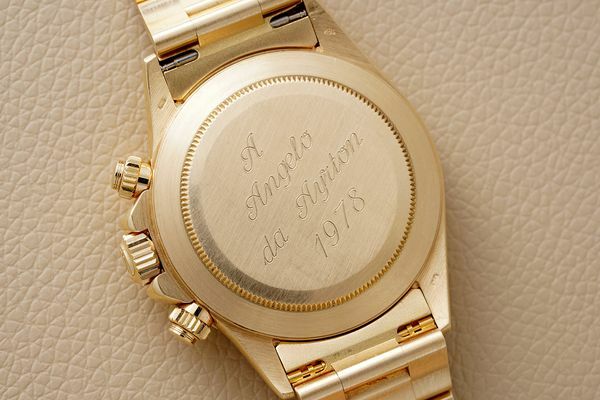 The watch is engraved “A Angelo da Ayrton 1978” at the back. Already we know these are watches that will amaze collectors when they see them in person and we cannot wait for that moment when they pass from our hands into theirs. Maybe that’s why people collect watches. Every collector knows that watches, even the most historically important, aren’t necessary, but they are a great source of joy to those who love them, and if there’s something we shouldn’t place any limits on, it might as well be happiness.